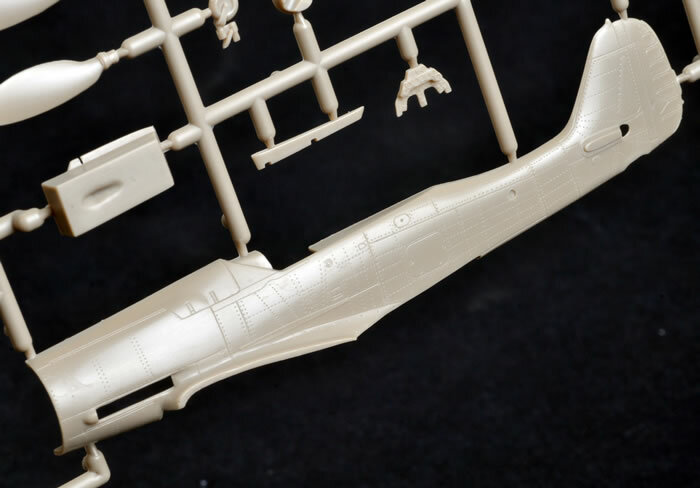 Contents and Media: 41 sand coloured short-run injection moulded plastic parts on one sprue, 3 clear injection moulded parts on one sprue, 3 resin parts and 17 PE parts on one fret, decals for 8 aircraft and a 4 page fold-out instruction sheet with history, 6 build diagrams plus a separate paint and decal guide in colour. 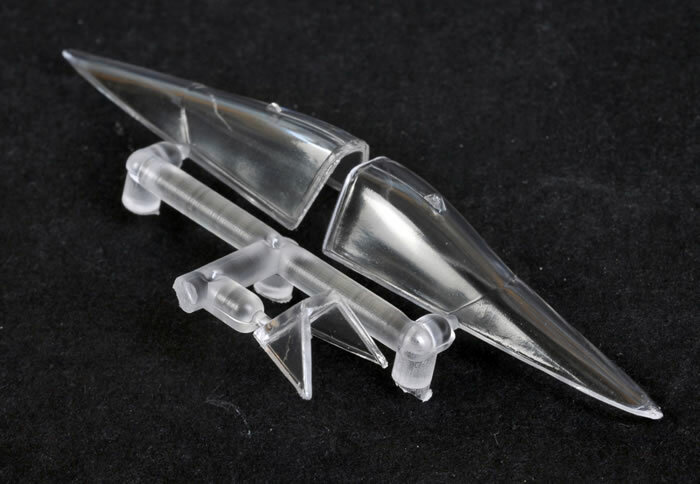 Advantages: Very cleanly moulded with no flash, distortions or sink marks, excellent resin, PE and clear parts, well printed decals with good register. 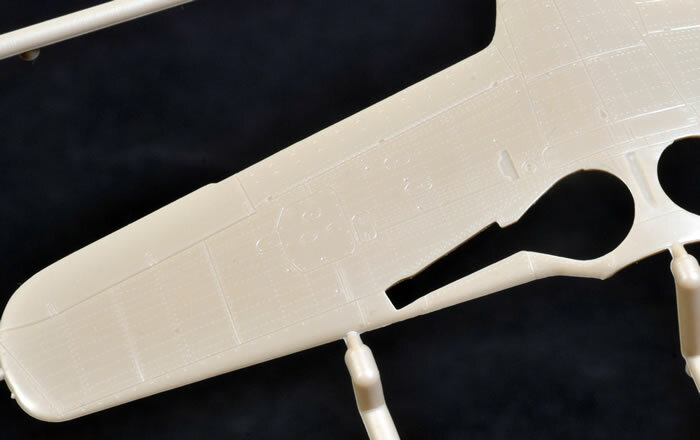 Disadvantages: No alignment pins, basic instructions, PE fret does not match instructions, correct head armour is missing from PE fret and decals for three aircraft on the decal sheet are not mentioned in the instructions. Conclusion: Very well done and as far as I know, the only D-11 in 1/72 scale with a D-12 and 13 to come. 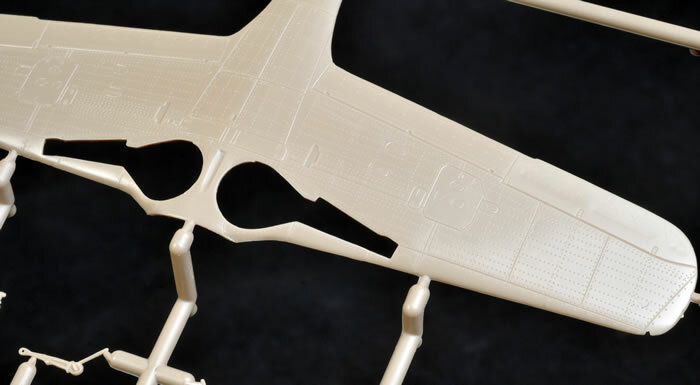 R.V.Aircraft is a relatively new company from the Czech Republic. I know nothing else about them except that their product looks very good. 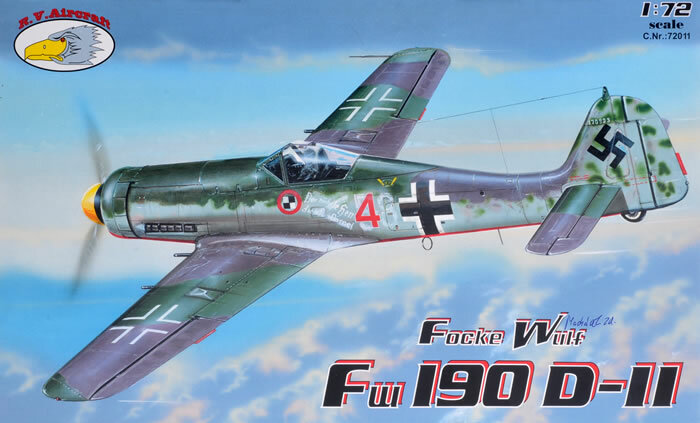 The Focke-Wulf Fw 190 D-11, 12 and 13 were up-rated versions of the D-9 having the Jumo 213E engine used in the Ta-152H producing around 2000 hp. 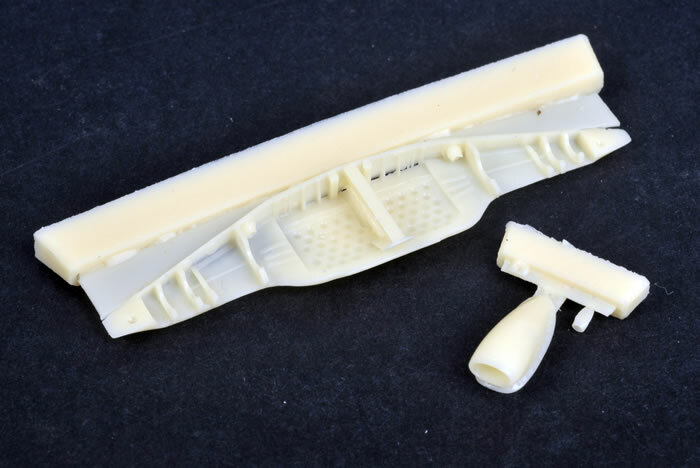 The 13mm machine guns from above the engine were removed and a new cover of a smoother shape was added. The D-11 had the same MG151s in the wing roots but MK 108 30mm cannons in the outer wings similar to the heavy armament As. The D-12 had no outer wing guns but an MK 108 firing through the spinner. The D-13 had the same wing armament but an MG 151 firing through the spinner. I am told that R.V.Aircraft intends to introduce a D-14 and 15 later. 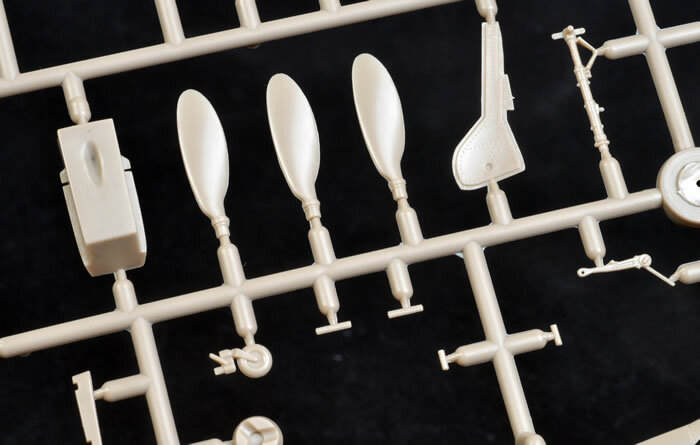 On opening the sturdy top opening box there is only one main sprue and it looks like it carries the parts for all three kits (D-11, 12 and 13) as they are all very similar with only armament differences. The plastic is in a sand colour and I hesitate to call it short-run except for the fact that there are no alignment pins, the moulding is so clean and all major parts are covered in tiny rivets that I fear one coat of paint will hide. The surface texture is very subtle and impressive. 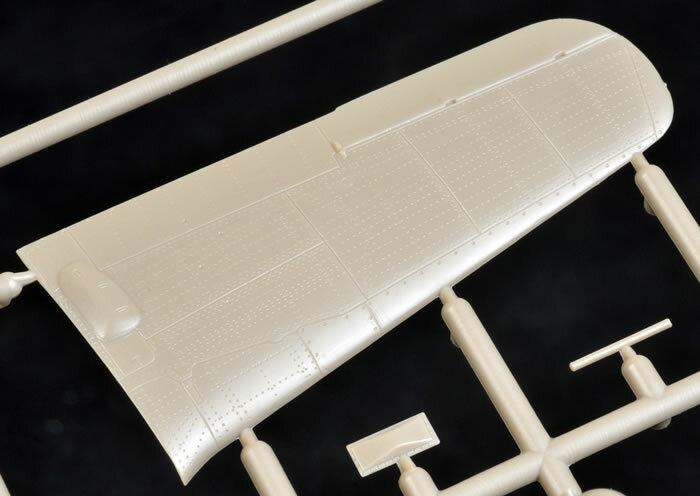 Detail is as good if not better than you will find in any Hasagawa or Tamiya kit. There are two sets of propeller blades that look the same but I suspect that one set is slightly wider and a cockpit tub which doesn’t look wide enough at the front although the rear is okay. The radiator cowl has open flaps but there is no detail behind the spinner. However, there are two radiator matrixes on the PE fret but they are not mentioned in the instructions. The three resin parts are a one-piece wheel well, the large oval shaped Ta-152 H intake and the small scoop on the nose top. The wheel well insert gives that see-through look but has a roof like the A series aircraft which I feel is probably the best solution given the lack of detail inside. 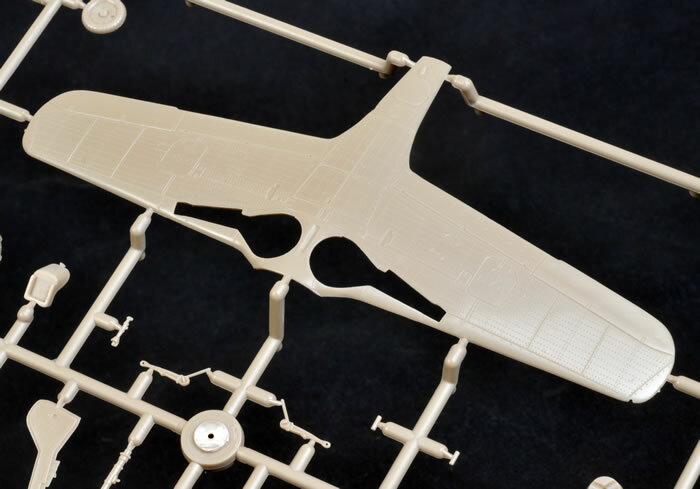 Two injection moulded canopies are included - one blown, one standard. The PE fret look reasonable except it is missing the late model head armour to go with the blown hood. 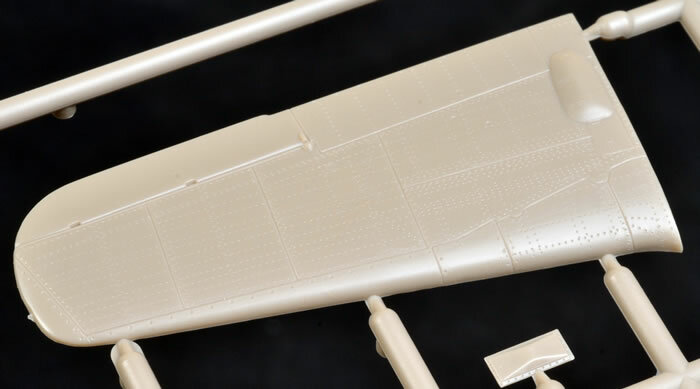 On the decal sheet, there are markings for eleven aircraft on the sheets but only eight on the instructions and the stencils look to be printed a bit heavily causing flare. The best reference for this kit would appear to be those by Jerry Crandall. If you’ve only got the early book by him on the “Doras of the Galland Circus” EF#1 you will find on the inside front cover and outside back cover “Red 4” with the early style canopy and head armour and serial 170933. This serial is also given in the kit but in the book they say it may be wrong. His latest book titled “The Focke-Wulf Fw 190 Dora Volume 2” also covers the aircraft of the JV 44 protection flight, including more up to date information on “Red 4”. It is shown with the late model blown hood and the corresponding head armour. The serial is now shown as 220XXX. 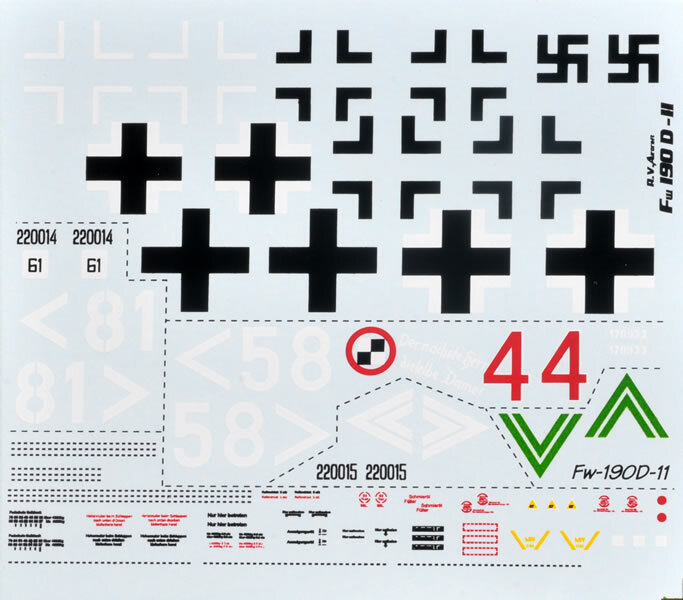 The other aircraft on the decal sheet, those with the chevron and number are also covered in this book. It may seem that I have done nothing but criticize this kit but that is certainly not my intention. 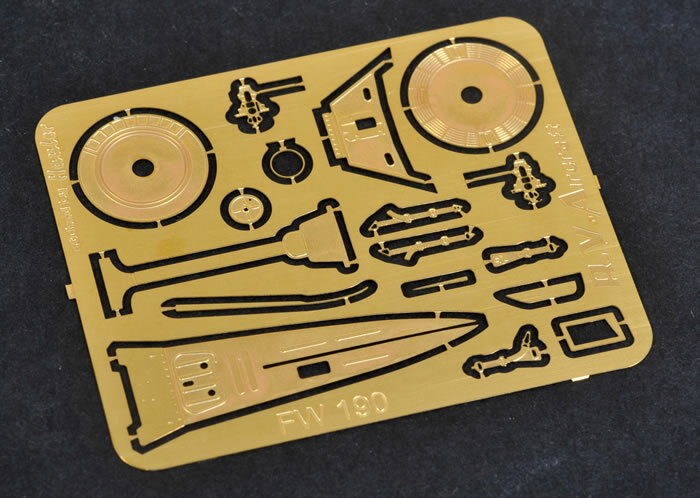 Apart from the lack of locating pins, the detail is as good if not better than you will find in any Hasagawa or Tamiya kit. 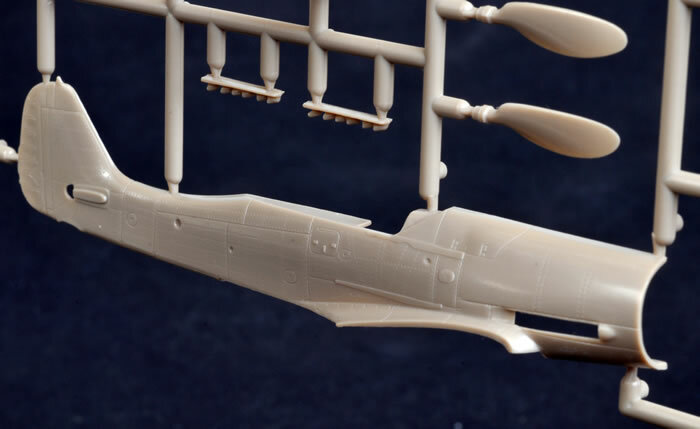 The model is a bit let down by some of the finer points such as resin, PE and decals but there is nothing seriously wrong here.